We have selected several items from the Luxe Deluxe current collection. 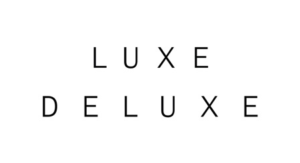 Luxe Deluxe is an Australian brand dedicated to creating innately wearable clothing. Classic tailoring with an understated, sporty edge juxtaposes unique and romantic prints and embroideries in floating silks to create an unforgettable look. We are available in over 150 stores in Australia, New Zealand and the U.S.A. Located in Melbourne’s luxury boutique strip of Armadale, our flagship store incorporates our full clothing collection. Within our store environment, we bring together a carefully curated and globally sourced selection of rare and exclusive lifestyle and beauty brands. Together these exceptional offerings extend and enhance the look and feel of the ongoing Luxe Deluxe story.